Yes, you read the title of this post correctly, and yes, I do stand by what it says. I am a firm believer that fashion should not have (too) many rules - of course self-respect is always a rule in my book when getting dressed in the morning. However, fashion is all about expression and creativity, and if I feel like expressing myself by wearing white sandals on September 4th, then I am going to go ahead and do that with confidence (especially if it still feels like summer outside)! Heck, you might even see me in white jeans again before winter hits. My motto is: 'wear what you feel,' and that concept knows no season. After all, rule-breakers are the ones who end up defining history. The fact that I bought these two pieces (top and skirt) separately with a span of about 2 years in between, from two entirely different lines, just goes to show how wonderfully unpredictable fashion can be. When I saw these two hanging together in my closet, I knew it was a match made in garment heaven. Happy shopping! 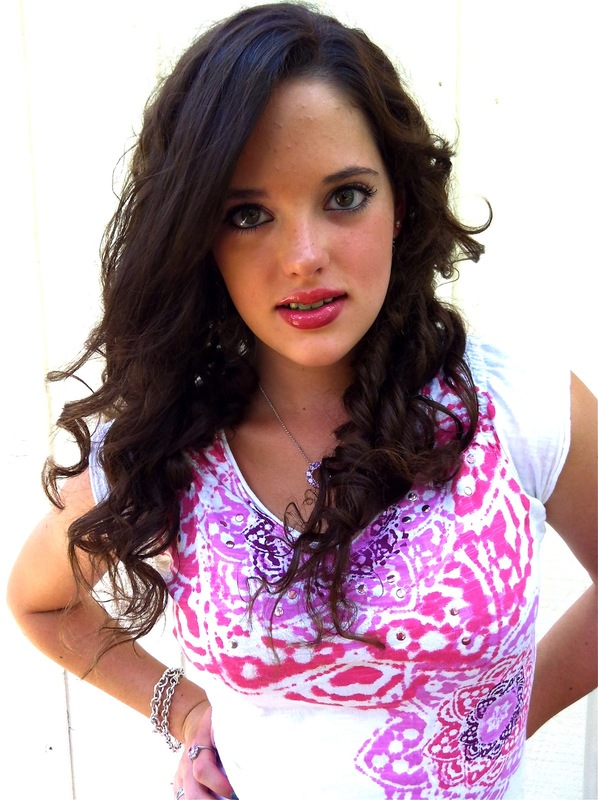 Love your blog :-)you have great looks. I'd like to invite you to visit my blog and follow each other. You look stunning! I like your skirt! 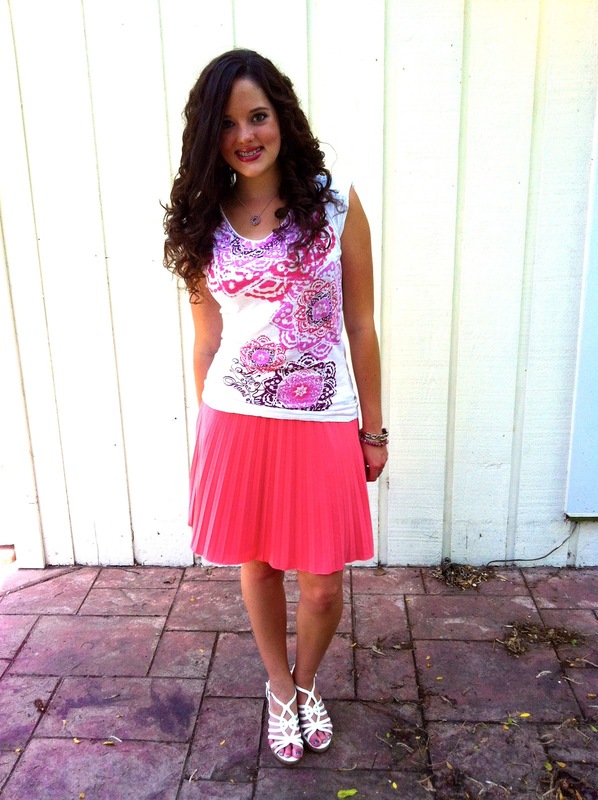 Love that adorable skirt, the pleats make it so cute! Hey pretty! 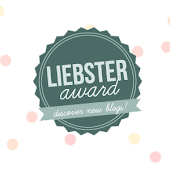 As you have already found out, I have given you a Liebster Award to recognize the great work you have done on your blog so far Keep up the great work and thanks for being such a great reader at The Avenue Vee. Agreed! It certainly is OK to wear white after labour day - I just did the same post!!! Great minds thing alike!!! Love the skirt! 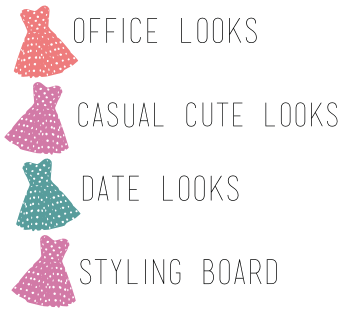 Now following you on GFC and bloglovin I hope you will follow back if you like my blog!! I love that you did a blog about wearing white after labour day! I totally agree that it is acceptable! Not even sure where that started from! This outfit is so pretty! 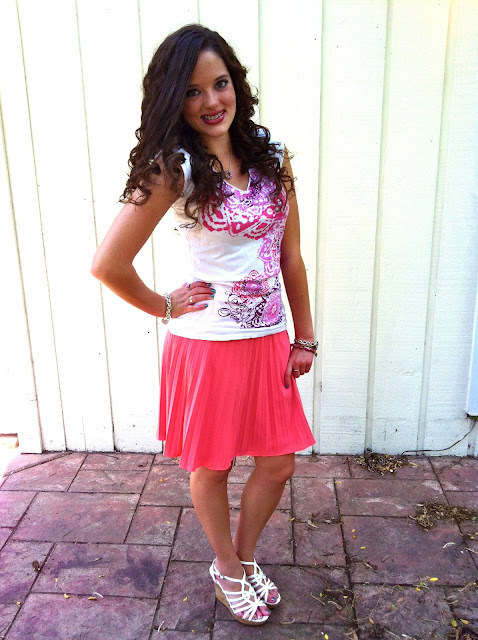 Love the color of your skirt! White after labour day is totally okay ! Love that skirt ! Great pleated look! Cool and trendy! I agree! there really are no more rules in fashion ;) It is just all about personal style. Totally agree, fashion is pretty awesome in that way, allowing an individual to express their feelings without being too restricted. 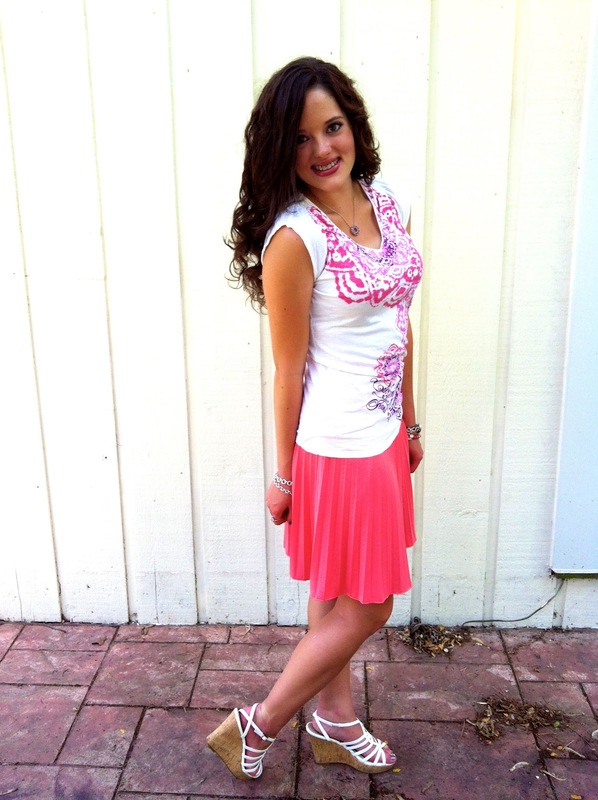 Loving the color of that skirt, it's so vibrant! 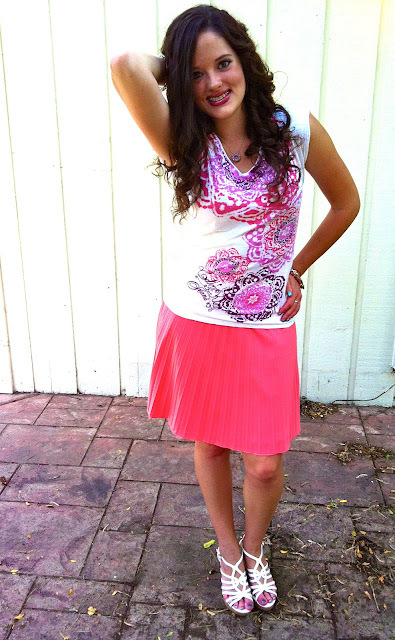 Cute pleated skirt, the color is just gorgeous too. Very cute outfit!! Love the wedges!! Вы такая яркая и солнечная! wow, you look gorgeous! I love the skirt!